’t necessarily mean the areas are not clean, but that you may have entry points that need to be inspected and repaired to keep the rodents from coming in. Rats are one of the most common household pests who invade your personal space by spreading germs and causing destruction while looking for food. They are incredibly adaptable, living both inside and outside of structures, with no regards to what they chew on or where they use the restroom. Roof rats not only inhabit roofs but attics and wall spaces as well. Although they tend to be vegetarians, roof rats will eat any food readily available and can create a severe infestation problem due to female’s being able to produce 20 offspring in a year. Norway rats live outdoors but will make their way inside your home in search of food to eat. They are an aggressive, burrowing species that dig their way underneath your foundation into your crawl space, where they usually force out any other species of rats which may be living there. Rat infestations should not be taken lightly. Critter Control of Southwest Florida understands the severity associated with rodents, which is why we have developed comprehensive methods regarding removal, clean up and repairs. Not only are rats unsanitary, but they cause damage wherever they go. To help shorten their constantly growing incisor teeth, rats gnaw on anything they can including items in your home such as electrical wires, PVC/plumbing pipes, walls, and wood. The chewing can cause electrical shorts, fires, flooding, and even a building’s structure to become weakened. DIY rat removal may seem like a simple venture, but to properly eradicate critters, you must take a more extensive approach beyond placing store bought rap traps around your home or workplace. By working with our professionals at Critter Control of Southwest Florida, we will make sure to identify all possible infested areas, so that the problem gets solved the correct way the first time. 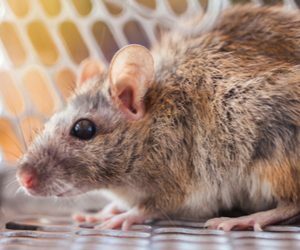 If you are experiencing a rat infestation, let our experts at Critter Control of Southwest Florida assist you with the removal of the pesky rodents along with any other wildlife issues you may be having. We offer a multi-step process which includes the inspection, elimination, exclusion, remediation, and repairs of your home or business. Call us today at 239-731-6255 or contact us online for more information or to schedule your free home inspection.